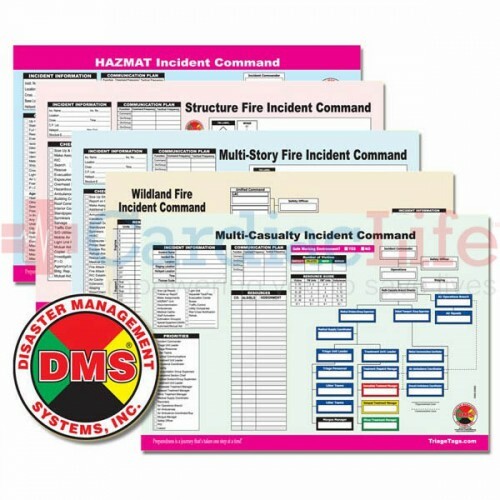 The DMS Multi-Hazard ICS worksheet portfolio is an organizational tool designed for the first responder. Each ICS worksheet is designed to help document and facilitate the strategies and tactics used at different types of working incidents. 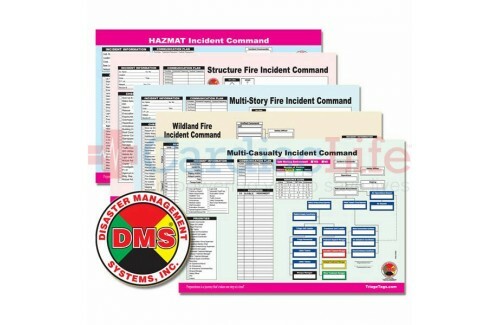 All DMS products are based on the NIMS ICS standard. All pads are printed on waterproof and blood proof synthetic paper.